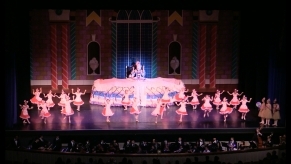 "The Los Gatos Ballet Nutcracker was excellent. The music of the San Jose Youth Symphony was superb. The sets and costumes were of surprising quality and design - Beautiful. The choreography was professional. I particularly delighted in the 'Waltz of the Flowers'. The dancers...they were captivating and quite accomplished! What struck me most was how enjoyable this Nutcracker was with having a variation in ages of performers. 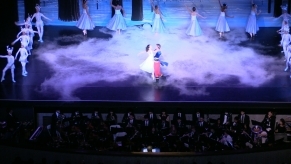 The Sugarplum Fairy and Cavalier from San Francisco Ballet were breathtaking. I have seen many other Nutcrackers and this was by far one of the most enjoyable all around. I would recommend this to anyone. 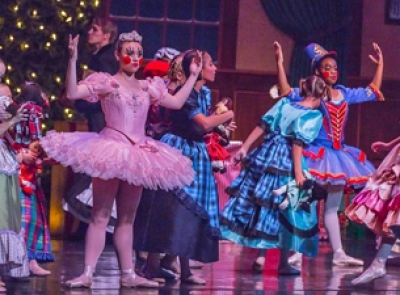 It is a rare gem here in the South Bay... no need to drive up to the City for the Nutcracker anymore." "Amazing script, very entertaining. All directors, actors, dancers and musicians did an excellent job. Beautiful colourful costumes and decorations. All of my friends who attended the performance commented on how amazing, funny and professionally done the show was. We had a lot of fun and enjoyed the performance." The San Jose Youth Symphony, founded in 1959 under the San Jose Symphony, incorporated as an independent, non-profit organization in 2002, providing musical education to thousands of local kids. 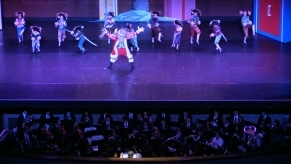 Now comprising 11 groups of varying sizes and experience levels, the orchestras and instrumental ensembles perform in several regularly scheduled concerts every season, as well as a biennial international tour that gives the Philharmonic Orchestra the chance to travel to exotic locales and learn which countries have the fluffiest hotel towels.